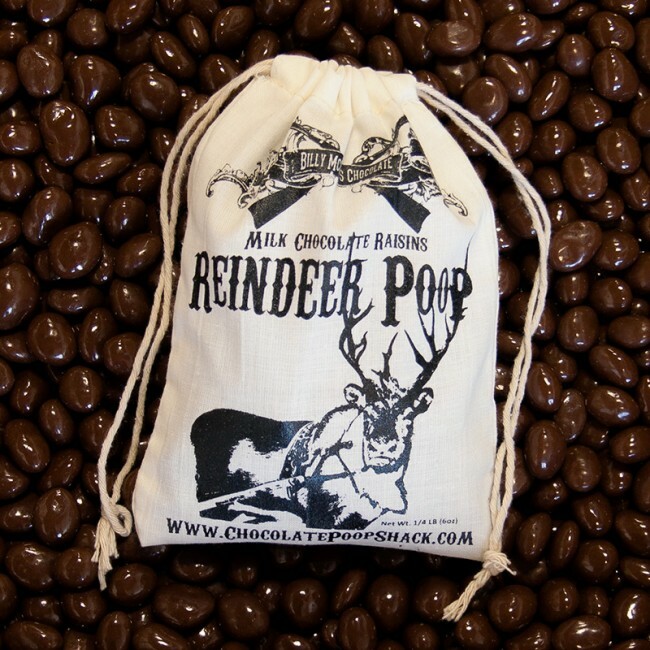 Chocolate Reindeer Poop - As fresh as it can get! 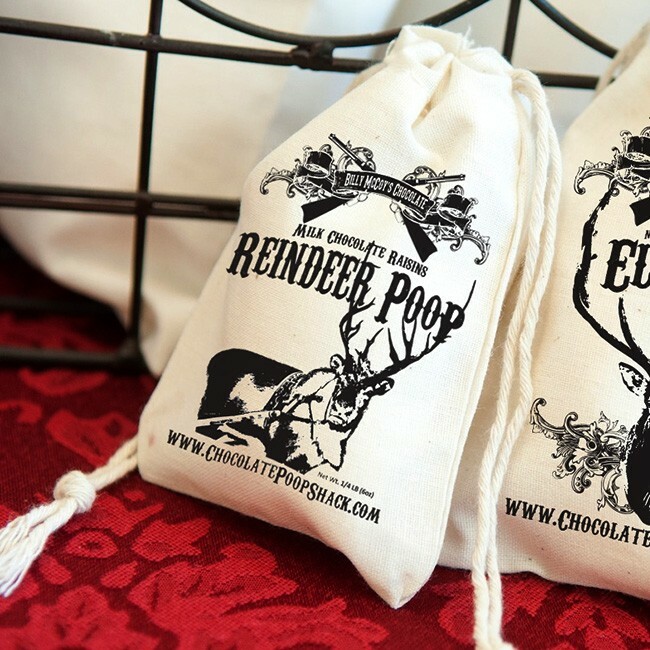 Deliciously decadent Milk Chocolate Covered Raisins attractively packaged in a fun, vintage cotton printed bag with a mature reindeer on front. Includes 1/4 lb. 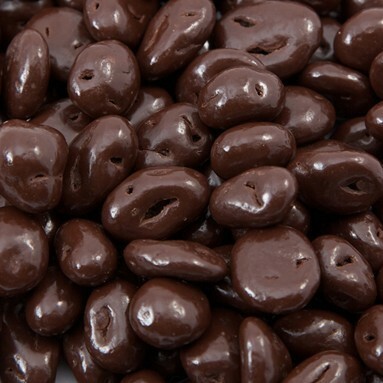 (6 oz) chocolate covered raisins. Ingredients: milk chocolate (sugar, cocoa butter, milk, unsweetened chocolate, nonfat dry milk, butter oil, soy lecithin, vanillin and salt) raisins, corn syrup, dextrin, maltodextrin and confectioners glaze. Contains milk and soybeans. Processed on equipment that also processes wheat, peanuts and tree nuts.